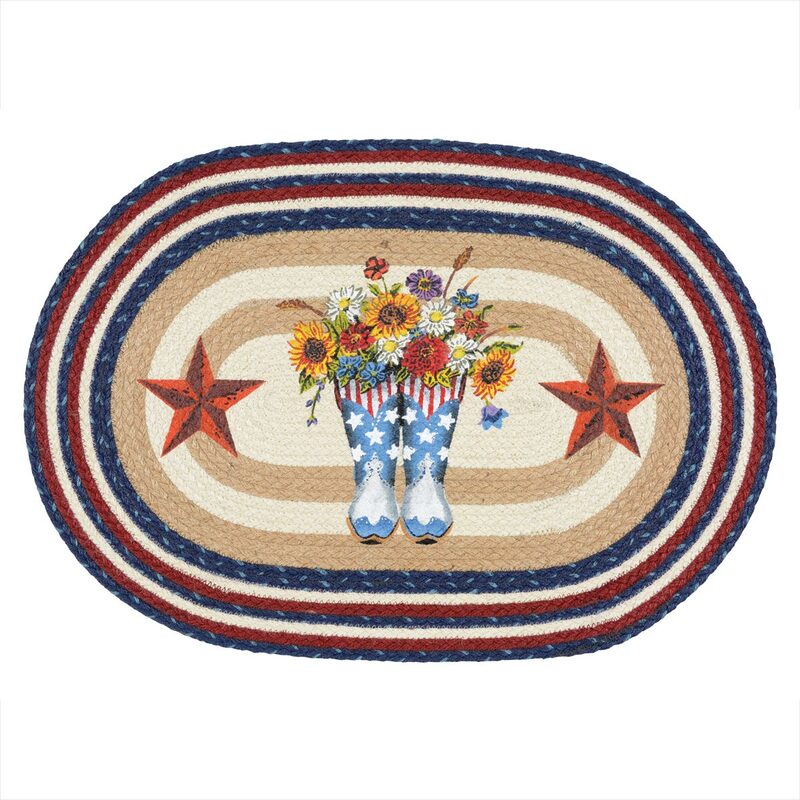 Accent your rustic home with the hand-stenciled boot design and patriotic stripes on this braided natural jute rug. Spot clean. Rug pad recommended. 20"W x 30"L.